My friends and I at The Primary Peach have gathered the best of the best so you can get started on your April planning! Just click on any of the pictures in this post to download a PDF file of links to all of these resources! 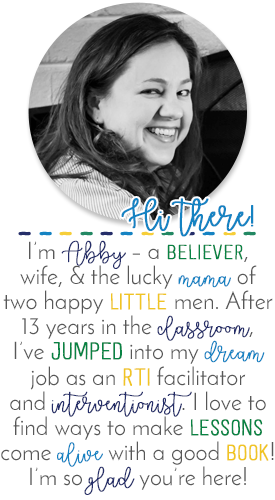 LOVE the freebies and ideas Jen shared in her Rainbow Week post. There are tons of freebie links, anchor charts, bulletin board ideas, and center ideas perfect for the beginning of Spring! I'm also in love with the Spring Edition of Apply the Adjective. Newly updated, with extra noun cards, and 6 new practice pages! Finally, a few extra fun freebies for you this month. You know I LOVE Rachel's Would You Rather questions for my morning meetings. There's also a link to an observation log freebie you can use with your kids if you grow lima bean seedlings with them. I'm also in love with my friend Jen's lima bean nugget. :) SO CUTE! Hope you've had a great weekend! I'm off to get ready for the week ahead! Make sure you check out the rest of our posts at The Primary Peach. Click the photo below to go directly to the link up!